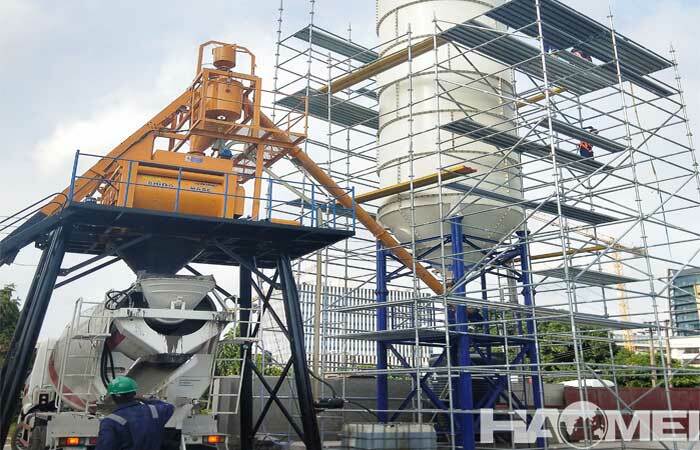 Trustworthy small concrete batch plants supplier Haomei provide high mixing performance equipment and great after sale service such as installation, debug and maintenance. In recent years, infrastructure investment has been increasing, and the number of customers want to purchase small concrete batch plants has increased year by year. This is mainly related to the big environment and the advantages of the small concrete mixing plants itself. How is the mixing quality of a small concrete batch plant? What is the configuration of small concrete batching plant? Concrete batch plants supplier Haomei will tell you the answers. The small concrete batch plant for sale refers to the complete set of concrete equipment with theoretical productivity below 50m3/h. The small concrete batch plant is simple in preparation, low in cost and convenient in construction, so it is favored by many customers, especially some engineering companies. 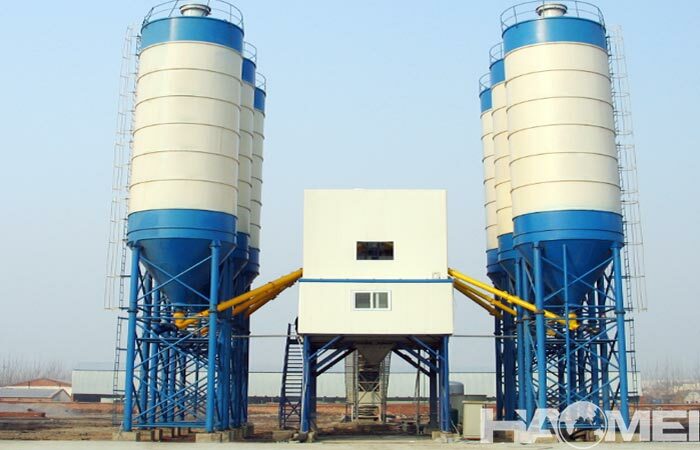 Under normal circumstances, the small concrete batching plant is equipped with concrete mixer smaller than JS1000. The focus of choosing small concrete batch plant supplier is to choose a good concrete mixer. 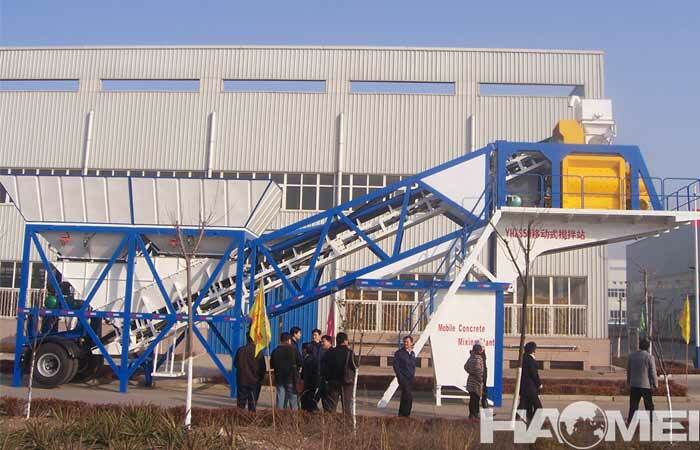 The JS series concrete mixing machine provided by Haomei can largely guarantee the quality and efficiency of concrete. 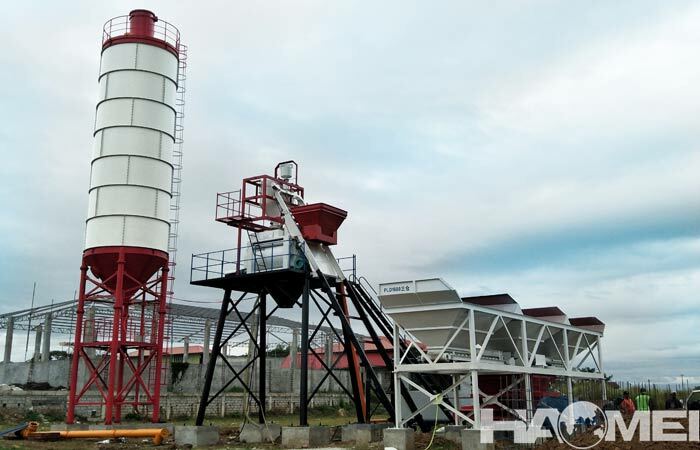 Another device to be noted is the concrete batching machine, Haomei recommend selecting a batching machine that weighs the hopper, the hopper number of the batching machine is mostly two, but it is actually related to the number of aggregates used by the customer. Although the investment cost of the small concrete batching plant is not high, but it is still necessary to make the best use of it, the customer should carefully judge the production of the concrete batch plant according to the demand of its own concrete consumption. If you have no idea about the model and configuration, you can contact with the small concrete batch plant supplier to get help and recommendation. Prev: How much is the mini batching plant price?